The following is my latest article for Music Teachers Helper Blog. I have always believed in the benefits of assessment opportunities for students. They can be called exams, tests, auditions, festivals, or other names, but basically involve students playing for a judge or examiner and receiving feedback on their performance. In my previous blog article Benefits of Music Auditions I listed the many benefits for both students and teachers. I am further inspired and feel the need to write more on this subject, after reading the comments on Joy Morin’s Q&A Forum about standardized music testing on her wonderful blog Color in My Piano; it seems many teachers are reluctant to participate in testing programs. I feel strongly that we as music teachers need to understand the differences and requirements of various exam/testing systems, before deciding in general that testing is not ‘healthy’ for our students. While it is true that some systems have strict syllabus requirements, there are many programs available in the US that are quite flexible. I would like to give my personal opinion on the different music audition/festival/exam systems I am aware of. If you are intimidated by the word exam or test, but do agree that some sort of formal assessment opportunity is beneficial for your students, then the MTNA Studio Festival Program is for you! There are no set rules, and you can tailor the event to suit your needs. You can choose to include or not include scales, sight reading, aural tests, theory; indeed you decide what you want your students to do! So what is the point? Well, students get the opportunity to perform in front of another musician other than yourself, and receive a written report. By being part of a nationally sponsored program with minimal cost involvement makes this the ideal starter program for teachers that are new to the world of music auditions and do not yet want to subject their students to being compared with those of other teachers. One of the reasons many teachers are reluctant to send students to music exams is the heavy syllabus requirements on technique, sight reading, and aural skills. Well, there are many events sponsored by your local music teachers groups that are repertoire based. For example, I currently live in Murrieta and belong to both the MTAC-Music Teachers Association of California and CAPMT-California Association of Professional Music Teachers. Both groups have a local branch called the Temecula Valley branch, and they organize many events where students are evaluated by outside judges and receive written reports. 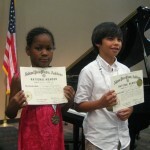 These events are often based solely on repertoire, for example MTAC Sonata/Sonatina festival, Temecula Spring Music Festival and CAPMT Piano Solo and Ensemble Auditions, and high scorers receive special recognition such as trophy or medal and get invited to perform at special Honors recitals. These festivals are perfect for students to gain experience playing for judges. They learn to polish a small number of pieces without having to worry about other requirements. Many states have their own testing programs. In New York there is the popular NYSSMA audition. In California there exist the Certificate of Merit (run by MTAC) and Student Evaluations (run by CAPMT). These usually involve more than just repertoire. 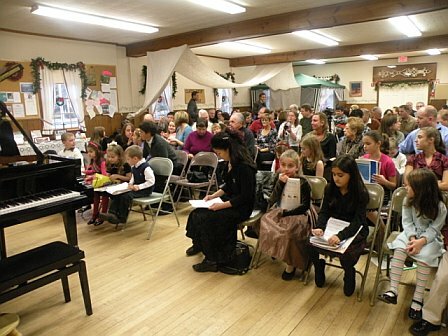 For NYSSMA there are scale and sight reading requirements as well, while in California theory and aural skills are tested along with technical skills (including scales, arpeggios, chords, cadences) and sight reading. Although the repertoire selected for audition/testing usually need to be chosen from the official list, the list is so long and extensive that you CAN find something that suits a particular student’s strength and taste. The word ‘standardized’ refers only to the theory and technical part of the test; students and teachers still have great freedom in choosing what repertoire to learn. The only small problem I have with the programs in California is that there is a mandatory theory test even for the youngest of beginners. Although I am a big fan of having students learn music theory, I don’t believe it to be as important as the practical performance skills in the beginning stages. I have seen too many beginners able to name all the music symbols on a page, but can not play a simple melody with accompaniment. (It is like someone who can identify and name all the different vegetables in a supermarket, but can not put a few basic ingredients together to make a simple dish!) On the other hand, the New York program NYSSMA has no theory requirement whatsoever, even in the higher levels. This is only available for piano teachers and their students, but the National Guild of Piano Teachers offers wonderful programs designed for both the absolute beginner as well as the most accomplished and talented students. The system is so flexible, yet structured, that teachers can choose whether or not to include things like sight reading, aural skills, arpeggios, and many other “Musicianship Phases”, while the IMMT-Irreducible Minimum Musicianship Test- ensures that students can play the scales and cadences associated with their chosen repertoire. This is such a great idea! If a student loves playing scales, you can have him or her learn them all, but for students who do not thrive on the technical side of things, they only have to do the ones that are actually relevant – found in their pieces. 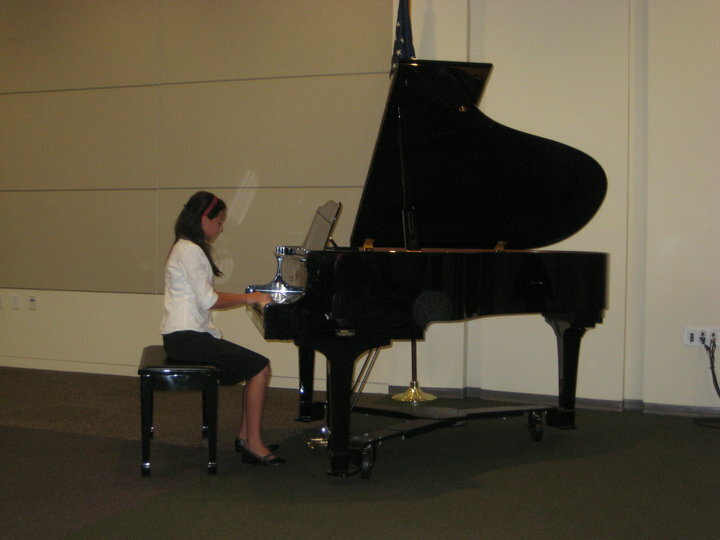 Also, you can audition anywhere from one to twenty pieces, and there are many Special Medal Programs available, such as Sonatina, Sonata, Early Bach, Advanced Bach, and High School Diploma. Students receive detailed evaluation report, certificate and pin, and can apply for various scholarships. There is no theory requirement, and students can play anything they want, as long as they perform at least one piece each from the four major stylistic periods (for intermediate levels and beyond). The registration fee is so affordable that I feel you get the “biggest bang for your buck” with this system! Every grade includes technical skills such as scales and arpeggios, three pieces from different styles and aural skills. The technical skills are appropriate for each grade, neither too extensive nor too simple. The aural skills are tested by listening to a real piece of music played by the examiner and answering questions relating to the piece, instead of frivolous skills such as being able to identify a perfect 4th interval or what inversion a particular chord is in. In terms of repertoire, there are only a select few to choose from in each stylistic period. Although more limiting, this actually means the examiners really know the pieces well, and can give meaningful and specific comments and suggestions for improvement. There is no Theory requirement for Grades 1-5, but for anyone wanting to sit Grade 6 and beyond, they must have previously passed Theory Grade 5, which actually is quite difficult, and not unlike what many first year college music theory course covers. This “quality control” ensures that students have the necessary musical understanding of what they are playing at the higher levels. Also, unlike many local and even state run programs in the US which are aimed at encouraging students to continue studying music and providing “humanistic” and positive feedback, the ABRSM has a high standard – you must be good for your level or they will not hesitate to fail you! Another thing I like about the ABRSM is that memory playing is optional and not required. Before I moved to the US in 2005, I had prepared numerous students through ABRSM as well as Trinity College exams, from Grade 1 to Diplomas and Licentiates. 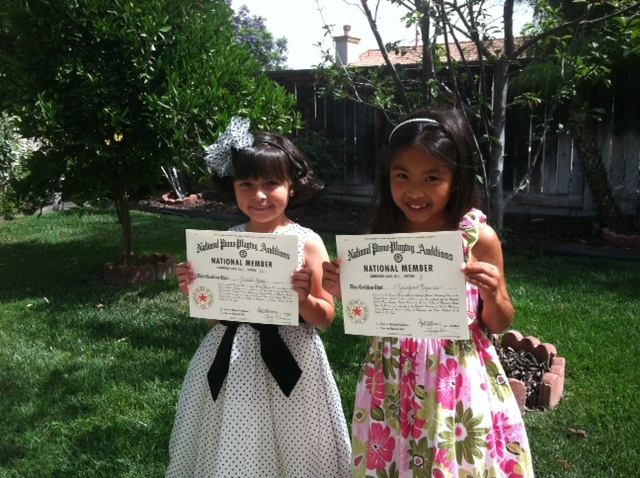 My student exam records with these two internationally recognized exam bodies helped me to earn my NCTM status with MTNA. I do hope they will gain more popularity here in the US. I also plan to get to know the RCM exams from Canada and its equivalent in the US called the National Music Certificate Program. In conclusion, I just want to say that there are so many programs available to students, whether they are called auditions, tests, exams, or festivals, that there is something for everyone. Students gain so much more than just receiving a piece of paper with their name on it. Obviously sitting exams should not be the ultimate goal for any music student, but is often a means to an end! Students do work harder when they have a specific goal. If you have never entered your students in any form of assessment opportunities, it is not too late to start! If you know of any other testing systems, please share in the comments below as I would love to hear about them!